Video games -- at the library? Here are some interesting facts. Did you know that the average age of a video game player is 40? Were you aware that around 40% of video game fans are female? 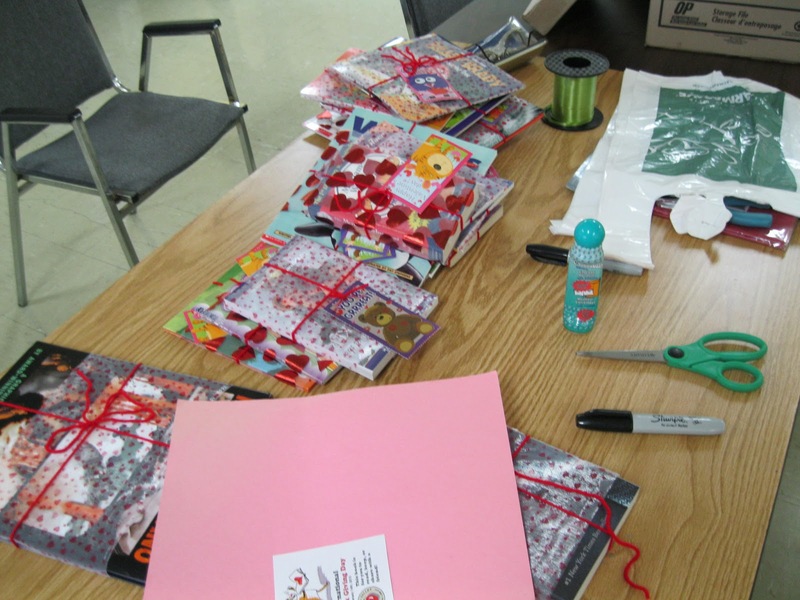 Did you know that the Annapolis Valley Regional Library lends out games to its patrons? I have to admit that those first two facts were shoddily researched on Google. The third, however, is true. I know firsthand. A lot has changed since Pac-Man. The video game industry has begun to out-gross Hollywood in the last few years. The games themselves run the gamut from immersive action adventures like Skyrim, a game that literally has hundreds of hours of game play in a massive, wide open world to sports games whose graphics border on being photorealistic such as NHL 12. Games like Dance Central 3 for the XBOX or Hip Hop Dance Experience for the Wii use your body movements to control the game and are great for parties and get-togethers. Because of high demand, games can be borrowed one at a time for one week. Log into your AVRL account and place a hold today! 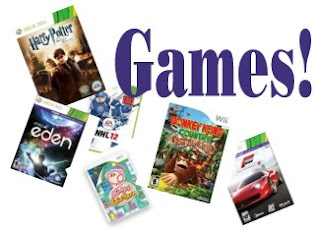 Click HERE for a link to our list of games. 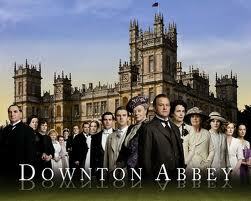 What is it about Downton Abbey that we love so much? We can't relate to the lifestyle, yet we are fascinated by it. On Monday mornings people from all walks of life are talking about the show and we wonder what we are going to do when this season ends and we have to wait months for a new episode. Have no fear. To get you through Downton Abbey withdrawal, I recommend the following, taken in liberal doses. Berkeley Square - this British miniseries tells the fictional story of a group of English governesses at the turn of the century. Just the right combination of soap opera and quality storyline made this an excellent series. Of course, the original Upstairs Downstairs and the new version are perennial favourites, but don't forget House of Eliott or The Edwardians. Flambards is another great British series that focuses on the beginning of aviation in Britain and is another sweeping family drama. If another series is too much time commitment, try the feature length movie Gosford Park. For those who just want the facts try reading Margaret Powell's Below Stairs, the book that is said to have inspired Julian Fellowes, the creator of Downton Abbey. Similarly, Life Below Stairs by Alison Maloney is a handy reference to Edwardian times. The Unofficial Downton Abbey Cookbook is a fun way to celebrate the show. Some great novels set during this era include A Room with a View by E.M. Forster and Buccaneers by Edith Wharton, The Remains of the Day by Kazuo Ishiguro, The House at Riverton by Kate Morton, and American Heiress by Daisy Goodwin. Whether it be the house, the clothes, the drama or the lifestyle, whatever your reason for loving the show you can be sure that next season will be a winner too. The Annapolis Valley Regional Library is happy to report that we will be participating in International Book Giving Day on February 14. Books for kids, teens, and adults have already been placed in locations throughout the Valley by the staff from all of our branches. 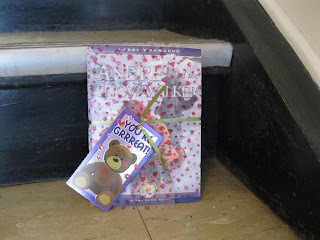 These books were left as gifts to whoever finds them - and they even look like gifts, because we've wrapped them up and added a Valentine to each one. Because we think reading is sweet, we want to share the gift of literacy. The books are from donations and from Adopt a Library. Look for one in your community! If you find one, you can keep it, read it and pass it along to a friend. For more information on this international event, visit http://bookgivingday.com/ . If you have found a book, let us know in the comments, or tell us on Facebook and Twitter, @valleylibs. We'd love to see pictures of your finds, too! Happy Book Giving Day (and Happy Valentines Day, too). Is Romance Really Dead? Not even close. Just look at the statistics in this article from USA Today. As the article states, while other genres have struggled, the romance novel has remained a steady performer in the book business. When Canadian Richard Bonnycastle started Harlequin Enterprises in 1949 they consisted of paperback westerns, mysteries and cookbooks. In 1957 he began to acquire rights from a British publisher of romance fiction. His wife Mary, noticing how enormously popular these books were, suggested they concentrate on them. Fast forward to 1964 and Harlequin was publishing romance exclusively. This winning formula follows very basic guidelines that provide the comfort of knowing that no matter the dangers, temptations, misunderstandings and crises these characters endure, there will be a happy ending. The journey of how they get there is the backbone of the story. Whether you want to escape on the arms of a Highlander, Cowboy, Vampire, or Duke, the library is here to help you find them. With Valentines Day approaching perhaps this would be a good time for all the significant others out there to try out a romance novel. It is never too late to pick up a romantic tip or two and with numbers like this somebody must be doing something right. Every year, African Heritage Month is a time for people and communities to come together to celebrate African Nova Scotian history, culture and achievements. February is a time to reflect and to look forward, and we have books that you can share with your children to help with this. 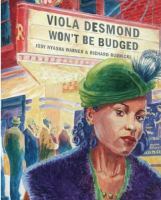 How can reading children's books help us learn about African Heritage? In Dorothy Perkyns' book, Last Days in Africville, we can put ourselves in the shoes of a 12-year old girl about the lose the only home she's ever known, helping us to understand a little bit of Nova Scotia's history. Reading Christopher Paul Curtis' novel Elijah Of Buxton gives us a glimpse into what life was like for slaves and their families who escaped into Canada. 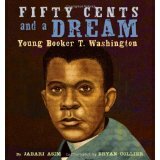 Read Fifty Cents and A Dream by Jabari Asim to step into the world of Booker T. Washington, or Viola Desmond Won’t be Budged to remember a Nova Scotia woman whose actions gave strength and inspiration to Canada's black community. 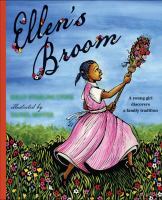 Picture books like Ellen's Broom can teach even the youngest about some old traditions; Jacqueline Woodson's brilliant Show Way gives us a little history lesson about the use of quilts. This book is available as a short film as well, and includes a wonderful interview with the author. Contemporary stories such as Shauntay Grant's Up Home and Jen C. Johnson's Seeds of Change show us the strength and beauty of community. Shana Burg's recent novel, Laugh with the Moon takes us to a modern-day Africa where a city girl has to learn to live in rural Malawi. Books can lead us down many paths and into journeys we never expected. Find these books and more on our list of African Heritage books for kids here, and for a Black History timeline, visit this website from the Dominion Institute.